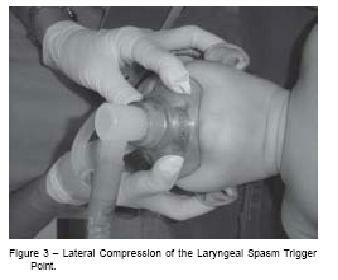 Laryngeal spasms are a frightening life threatening condition in anesthesia. 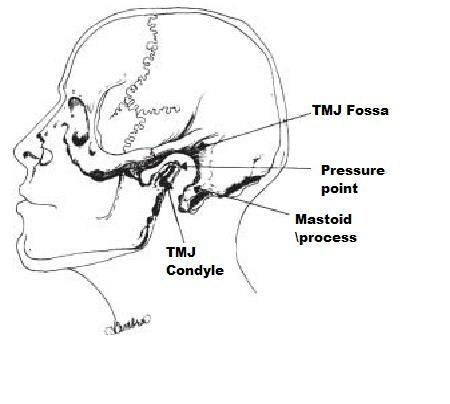 Bilateral Pressure behind the ears at TMJ level might release this spasm in kids. 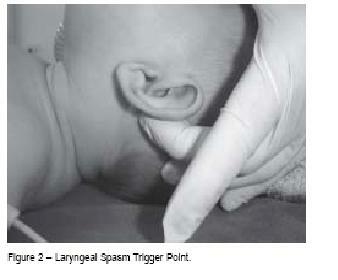 Hiccups can be relieved by lifting the “thingy” uvula in the back of your throat’s palate. Raquel Reis Soares, TSA, M.D. ; Eliana Guimarães Heyden, M.D. – intravenous succinylcholine, 0.25 to 1 mg.kg-1. 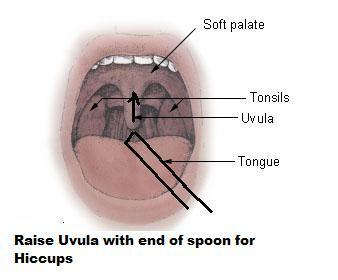 Another trigger that can instantly relieve hiccups is to raise the uvula (the handle of a spoon works good) and gently hold it up for as long as can handle or 30 sec. Works in most cases and if not, I give a spoonfull of sugar to eat as well… try not to touch tongue.